Are you looking for an effective way to lose your weight? If yes, there is no way as effective as smartphone. Help yourself out with this article and know about the top 3 weight-loss apps for Android smartphones and their top features. Obesity in today's world has become the talk of the town. According to a latest survey, almost 30% people in the world today face obesity and a good percentage of people are on the verge to turn obese. This is all due to an improper diet plan and sedentary lifestyle. So, such persons usually search for an effective way to lose his/her weight as soon as possible to prevent other related disorder to pave their way in the body. Many search engines including Google. are recording a pretty good amount of searches containing the keyword 'weight-loss'. This indicates the curiosity of the people to get the best of the knowledge available on the internet about losing weight but they forget that they already have the most effective tool to help them in this process i.e. their smartphone. Yes, if you have an Android smartphone, you can get your private dietician in your hands which will analyze all the things related to your diet to help you lose your weight effectively. So today I am here with this article to give you information about top 3 free weight-loss apps available for your Android smartphone in the Google play store. Hmmm, let's start! This app is counted among the best weight loss apps available for Android smartphones in the Play Store. 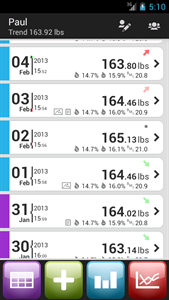 The app keeps the record of your dietary intake and also tells you what to eat and what not. One of the main feature of this app is the alarming system i.e. when it is time for your meal, the phone rings up saying that it is the time, you have to take the meal. So, there is no chance of missing any sort of important diet or medicine. This app is loaded with the modern day artificial intelligence which gives you the latest information regarding your diet plan backed up with pure scientific reasoning to help you improve your lifestyle. This app also contains the list of the hotels, food places, and restaurants etc. around you which are ready to serve you the healthiest food for your good health. Also, the health and fitness articles are delivered to your smartphone daily via this app which will surely help you keep yourself fit. So, do not miss out. Grab this app from the Play Store and start losing weight in just months. Ratings of Noom Coach app in the play store: 4.3 starts out of 5 rated by about 146k users. This app also serves the list of top rated weight loss apps available in Play Store. The main feature of this app is that it prepares a shopping list of the things you need to buy for your healthy body and the best thing is that you can order those things online via this app. So, giving its full features, this app is all set to help you to lose your weight instantly. It also provides you the opportunity to discuss the things and queries related to the weight loss in the forums included in the app. You can also share your experience over there. Further, you can win cool prizes and awards by working according to the instructions given by the app and help other members with their concern. This app also contains built-in BMI calculator about which I said in the previous app description. 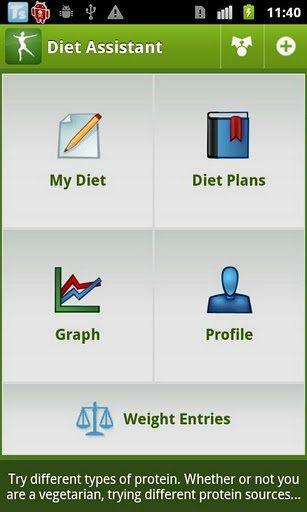 So, this app is all set to manage your daily diet plan and help you to reduce your weight very effectively. Go get it and enjoy losing weight. Ratings of Noom Coach app in the play store: 4.0 out of 5 stars rated by about 11k users. Downloads: Over 60k downloads and 16k recommendations on Google Plus. Weight tracker-weight loss app is also among great health and fitness apps available in Google Play Store. It also has almost the same features as that of the Noom Coach app but the difference lies in the scientific reasoning and delivery of health and fitness articles though the graphics are better for the Weight Tracker app than the Noom Coach app. Moreover, you will find a BMI calculator preloaded in this app which will help you to find whether you are facing obesity or not. Remember that the BMI should not exceed the limit of 30 i.e. it should be always less that 30 but greater than 17. Another great feature of this app is that it keeps the track of your exercise, the distance you cover by foot daily, the timing of jogging, evening walk etc. Also, it appears as a widget in your smartphone and is available in almost 7 different languages making it more user friendly. So this app is also a great option to get in your smartphone to keep the track of your health. Ratings of Weight Tracker app in the play store: 3.9 out of 5 stars rated by about 10 k users. Downloads: About 50k + downloads in play store. These were the top 3 weight loss apps available in the Android Play Store. So if you are facing the problem of obesity and have got an Android device, you can go for one of the above apps in the Google Play Store. Among the above three, the most recommended is the first one i.e. the Noom Coach app as this app is ahead of the other two in all the fields but some minor features are missing out. So now it is up to you that which one you prefer downloading for your smartphone. Note that it has been seen that these apps have helped almost 2% of the above mentioned 30 % people to lose their weight more effectively that the other option like going to gym, spa or even sometimes opting for hectic surgeries. So why not give a try to one of the above apps and then opt for other options if required. Oh, I was looking out for a weight gain app! Well, jokes apart, great article indeed! These apps really keep you hale and hearty by helping you maintain your physique.